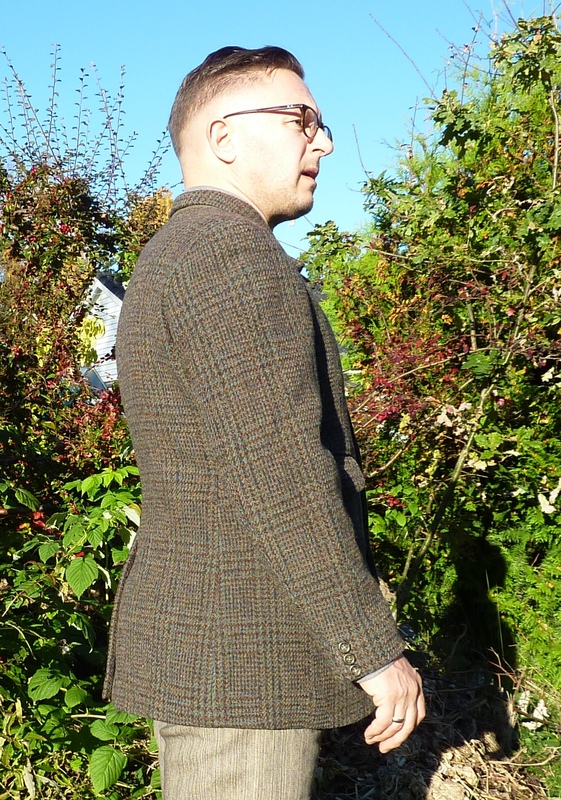 Tweed jacket upcycle project: Day four - final stitches and all done! 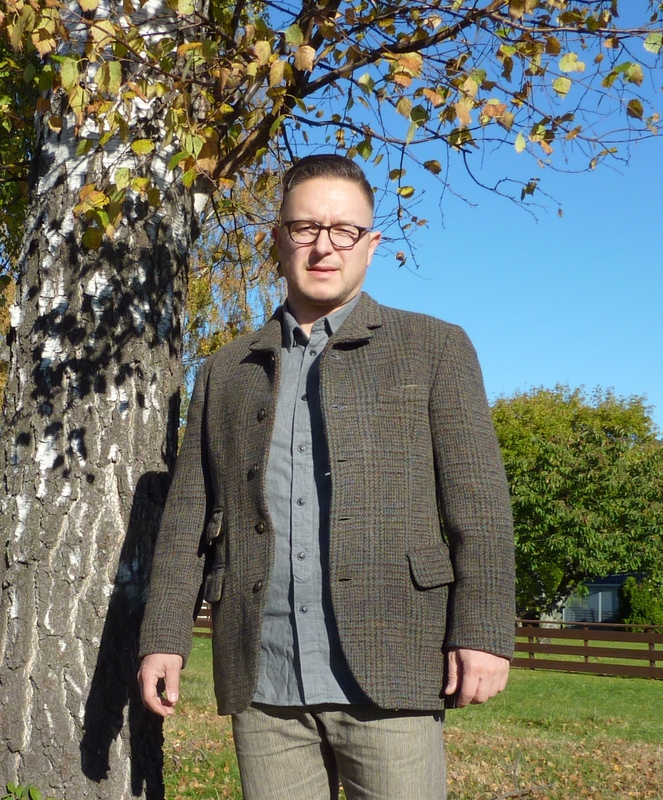 - Well Dressed Dad - It is a proper menswear blog. Like, with original words and opinions and suchlike. 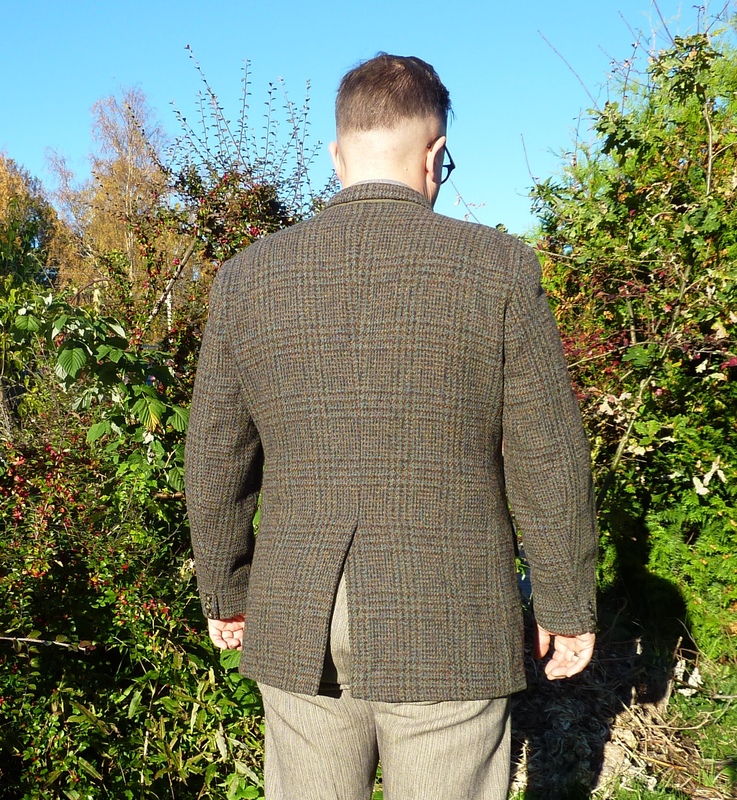 Last week I posted part four of my Harris Tweed jacket upcycling project. If you’re only just coming to find it, you’ll want to read back to the original idea outlined here, and part one here , part two here and part three here. I’ll wait patiently until you’re up to speed on what is going on here at the Laboratory of Total Tweedism. The previous part saw me coming to a grinding halt when I realised my sewing machine was not going to manage to make it’s tidy, painless and perfect buttonholes. What to do, oh, what to do? Well, as I posted at the end of the previous post, Youtube came to my aid with a nice instructional video on how to sew a buttonhole by hand. Of course, the guy showing it had a zillion years of experience and genuine, actual sewing skills. I couldn’t let no experience, and sewing skills that are at best basic, stop me though. 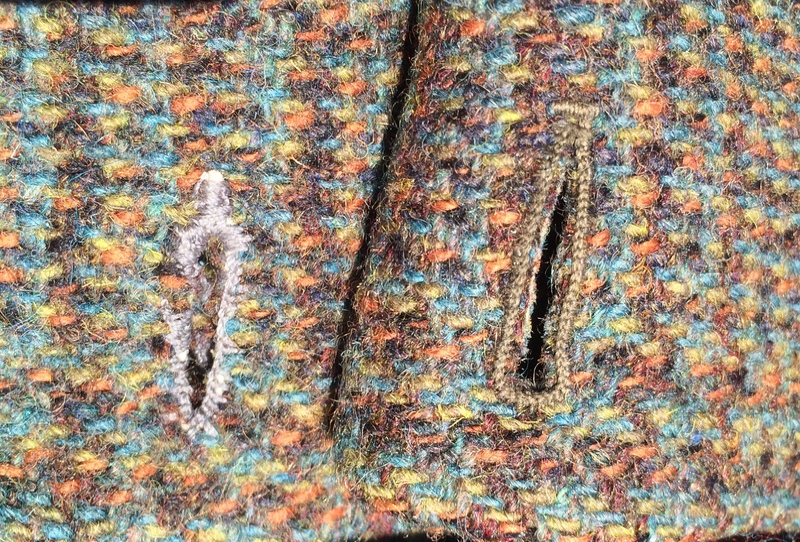 Original machine made buttonhole on the right, my hand sewn and functional version to the left. It took two goes on the first hole, but it come out well enough. I used some thicker waxed thread I had lying around (for use when sewing leather and such) to strengthen around the hole and then just stitched. The trick is to get the distance between the stitches right. The first go saw me overdoing it by putting the stitches too close. This works out worse than putting them a little too far apart. The buttons have all been replaced, as I wasn’t too keen on the originals and I had to add two more anyway. I used horn buttons from our local sewing emporium. Quite inexpensive. 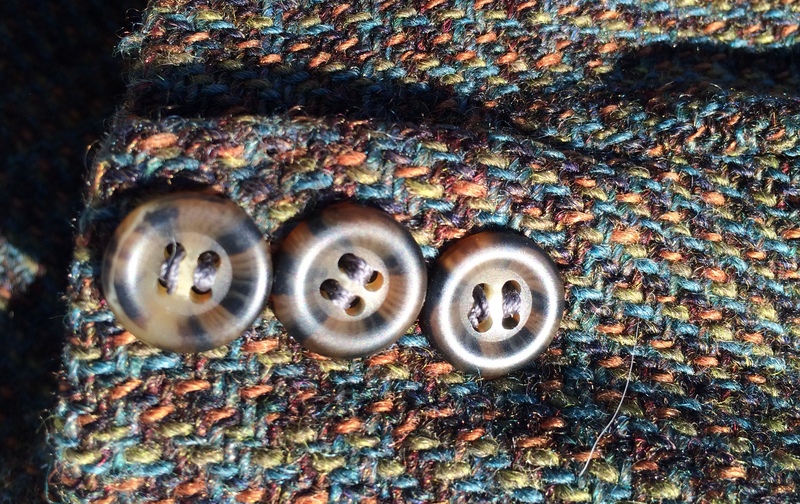 I also changed the single button on the cuff to three smaller horn buttons. Not a functional cuff, but it looks the part. To recap, this was the starting point. So what does the final result look like? With the shoulder pads removed, the front straightened up, changed from 3 to 5 buttons, the collar reset and buttons added to the cuff? So there you have it. 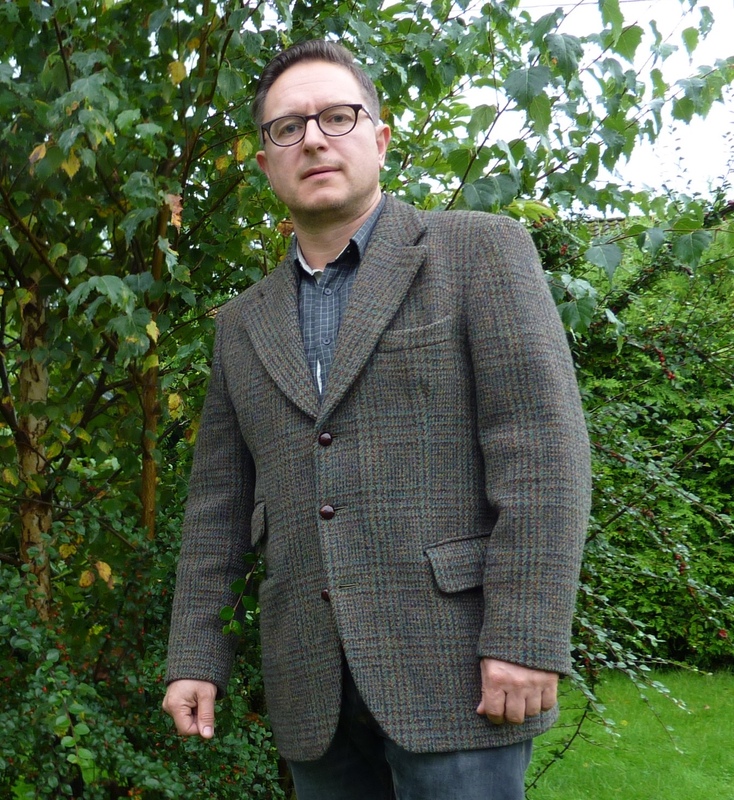 The 17 pound 50 year old Harris Tweed jacket I bought from Oxfam in Liverpool, washed and messed around with. The work involved took less than ten hours, and I’d probably do it in 5 if I was to do it again. Was it a worthwhile effort? I think so, as it’s changed it to a jacket I actually want to wear. Very cool! Would probably try to lessen the waist supression to make it more of an outerwear jacket though. Thanks! Not sure what you mean by waist suppression? WELL worth doing. I am very impressed. This looks so much more interesting than the original. If you’re ever in Birmingham, the Rag Market in the Bullring has places you can buy dozens of these jackets if you want to do it again. I feel inspired to try myself now. Looks great! 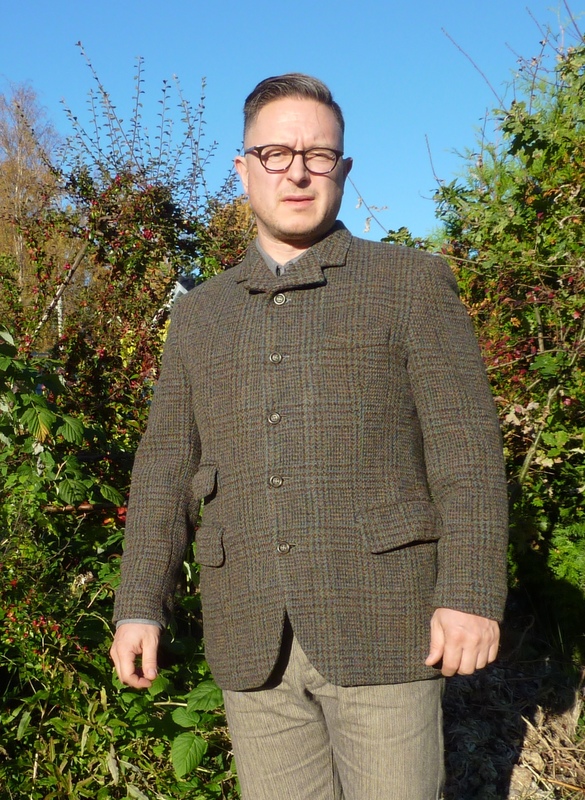 I’m working on a Harris Tweed jacket myself right now, making it into somewhat of a “Mallory jacket” (ahem) style; I’m adding one or two more buttons to the front (it currently has two), adding shoulder and elbow patches, changing out all the buttons, and removing the shoulder pads. Where I live here in the U.S. there are a few universities, so old Harris Tweed jackets show up at thrift shops for like $5.00 US. BTW, meant to mention that you can buy new or vintage “buttonhole makers” that attach to various model sewing machines and replace the standard foot. Just make sure that the type you use fits the type of machine you have.